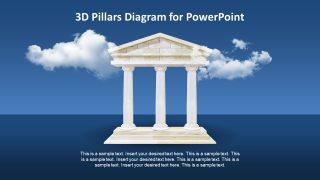 The Animated 3D Pillars Diagram for PowerPoint is an architectural structure template. 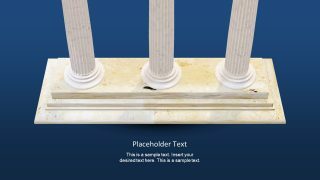 This template shows a high-quality 3D object as an image of building pillars. These pillars metaphorically demonstrate support or values which hold everything together. 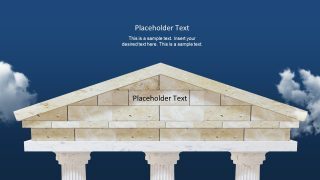 The 3 pillars diagram here shows an ancient Greek architecture. These pillars are also called 3 columns Greek building. And, their graphical presentation could illustrate several ideas including business concepts, social values, or even the spiritual pillars. Basically, it is suitable visual for any presentation displaying support structure and more importantly, a foundation of any concept. Therefore, these slides could be portrayed as a symbol of strong backbone and reliability. 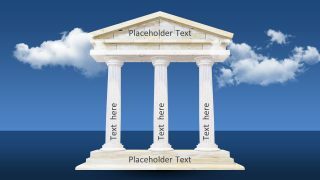 The Animated 3D Pillars Diagram shows a realistic 3D model in PowerPoint. The use of marble and concrete pattern on the 3D pillar shape brings audience one step closer to reality. 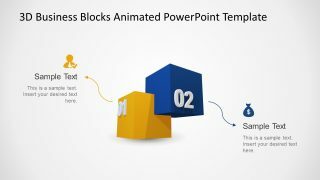 Moreover, the use of slide transitions like morph adds a video animation effect to overall presentation. 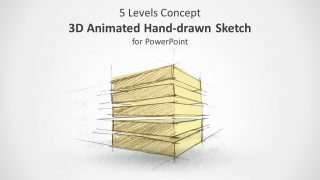 There are 5 slides in this presentation showing five different layouts using the same 3D model. However, all slides have blue background, distinguishable as land and sky. The users can change both backgrounds to create a day view since dark blue gradient portrays night time. 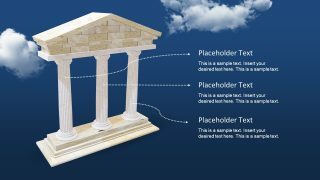 The slides of 3D Pillars also contains editable cloud shapes which are quite realistic. 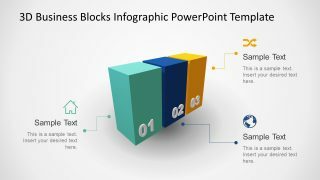 Such visual graphics with transparent background are hard to find in other presentations. This Animated 3D Pillars Diagram for PowerPoint shows front, top, bottom, and diagonal perspective of an image. Because it is a 3D model featuring 360 degrees rotation. 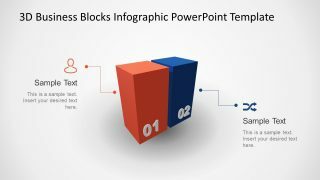 Although users cannot change the colors of 3D Shapes in PowerPoint. But they can certainly use editing applications like 3D builder to customize them. 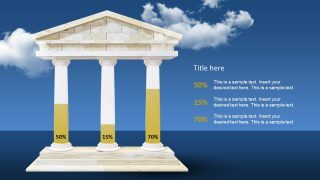 Many companies use pillars graphics as a visual aid to describe their foundation and stability related topics. Such as business strategy, diversity values, and beliefs, brand equity etc.